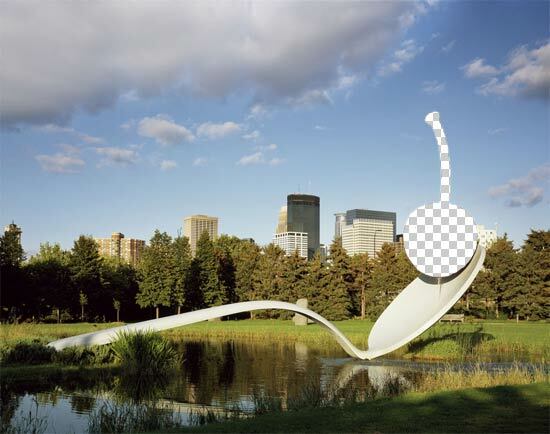 Next week the Cherry, normally found on top of the Spoonbridge in the Minneapolis Sculpture Garden, is going on winter vacation. Hot summer sun and 18 hours of water per day take a toll on the sculpture, so the Cherry will be heading to an offsite location to have it’s surfaces recoated and it’s rust protection updated. The Spoonbridge and Cherry was last repainted in place in 2006, it now requires a more thorough overhaul. Once work is done, the Cherry will be put back atop the Spoonbridge in mid-April. Associate Registrar Joe King, who oversees all maintenance of sculptures in the garden, has promised to post some details about the refurbishment later this week. After the removal, we’ll also post some video and photos.